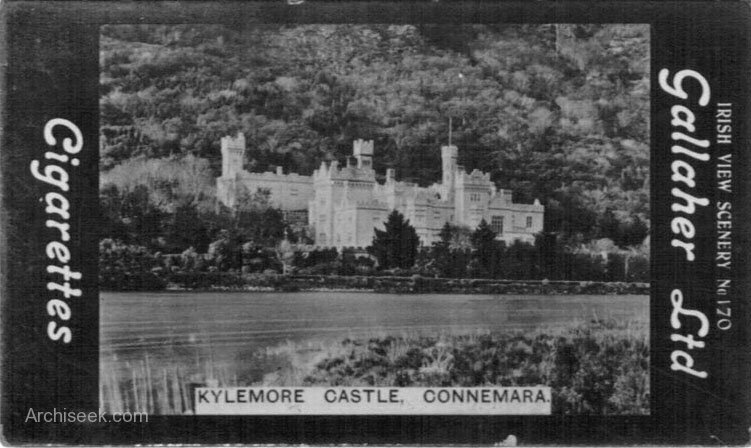 Kylemore Abbey, the home of the Benedictine nuns, stands at the edge of the lake surrounded by woodlands. 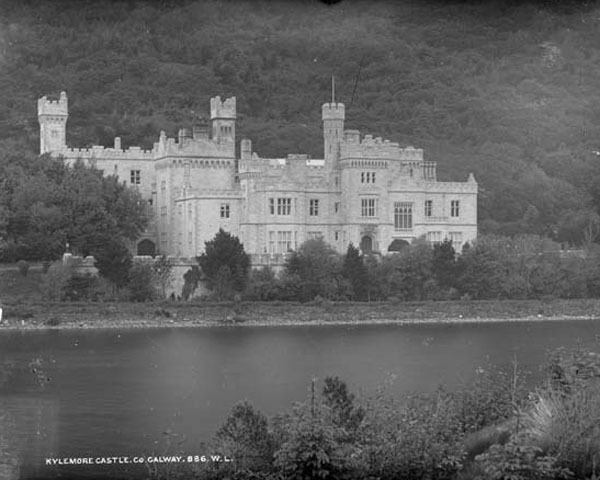 The gothic castle was built by Mitchell Henry, an English businessman in 1865. After the tragic death of his wife about a decade later he lost interest in the estate and it was eventually bought by the Benedictine order after fleeing their convent in Ypres during World War One. Notable features of the abbey are the neo-Gothic church (built between 1877 and 1881), and the Victorian walled garden. The interiors were largely destroyed in a fire some years ago.